Over the last several years, the news about Social Security's long-term health has gotten progressively worse. With nearly every passing year, the Social Security Administration's annual Trustees' Report has pulled forward the date when the Social Security Trust Funds are expected to run out of cash. On top of that worrisome pattern, data published earlier this year by the Congressional Budget Office indicate that the Social Security Trust Funds' problems continue to get worse. A combination of higher disability claims, low interest rates, and stubbornly high unemployment have conspired to draw closer the date when the program's reserves will be exhausted. Based on that, chances are strong that this year's Trustees' Report will pull the funds' expiration date even sooner. Regardless of exactly when the projected date for the Trust Funds to run dry is, if nothing changes, those reserves are going to run out -- at which time, benefits will be cut. What Happens to You When It Runs Out of Reserves? 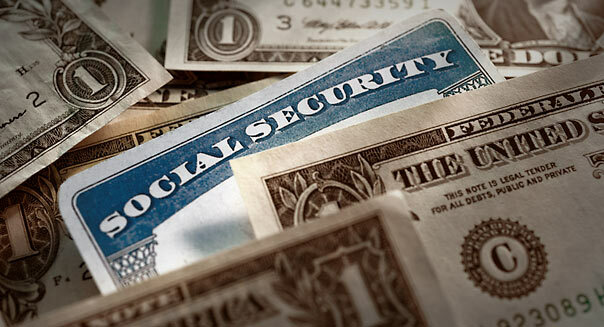 The Social Security Trustees indicate that when the reserves are gone, incoming taxes will only be able to cover about 75 percent of the program's current promised benefits. Nobody is quite sure yet how that 75 percent will be distributed across beneficiaries, but chances are good that your benefits, along with everyone else's, will be affected by that shortfall. The average monthly Social Security check to a retiree currently sits at $1,265.82. While everyone's situation varies, a 25 percent cut in those benefits translates to a substantial loss in income. Source: Author calculations based on data from the Social Security Administration. If you're a fairly young retiree now of around age 65, in 20 years, when the Trust Funds are currently projected to empty, you'll be 85. Will you be willing -- or even able -- to find a job to cover that shortfall? And if you're in your mid-40s or younger now, all signs point to you never getting your anticipated full retirement benefit as long as Social Security remains on its current path. What's Being Done to Stop the Slide? As the years tick closer to the date the Trust Funds empty, it gets far tougher financially to shore up the system to prevent that collapse. Rght now, the only proposal getting serious consideration is President Obama's budget proposal to tie the increases in Social Security payments to the "Chained CPI," which would slow the rate that benefits grow in response to inflation. By reducing the inflation-adjusted growth in the average Social Security check by an estimated $30 a month by 2023, the Chained CPI modification would reduce the program's net outflow of cash. But that would only cover about a quarter of the program's long-term shortfall. It's a little bit of pain over a long period of time that postpones, but doesn't stop, the Trust Funds' collapse and the eventual substantial cut in overall benefits as a result. Source: Author's calculations. Assumes no reduction in payments after the Trust Funds empty. One thing is becoming crystal clear -- you can expect to be on the hook to cover more of your retirement income needs on your own. That's true regardless of whether we'll face the reduction from the Chained CPI, the reduction from the emptying of the Social Security Trust Funds, or some combination of both. What Will You Do When Social Security's Trust Fund Runs Dry?